A 15-years-old patient, Ms. S. M. S. (PIN: 36844) visited Life Force clinic for her complaints of Urticaria on 17th May 2018. 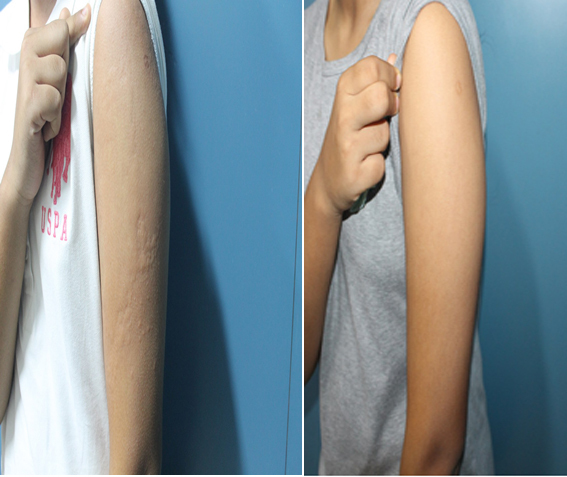 She was suffering from the complaints of Urticaria for the past nine years. She visited us when she was in an acute state with the complaints of itching, reddish eruptions, swelling on the face, hands and legs, sensation of heat in the body, and a slight difficulty in breathing. She would get angioedema and itching all over the body. Usually, she would get eruptions and itching once in 3-4 months for 3 days. But, this time, she had swelling along with these complaints during this episode. Her complaints used to get aggravated after consuming artificial colored food and cheese. She had taken Homeopathic and Ayurvedic treatments from other physicians in the past. Also, she had taken antihistamines for some time for her complaints of Urticaria. As a part of her food habits, she would eat vegan food. Her appetite and thirst were normal. She didn’t exhibit any strong likings or disliking with regards to the food. She would experience an average sweating. Her menses were irregular. She didn’t face any complaints related to the bowel and urinary habits and sleep. She was anxious. She would get anxious about the works to be done. She had one episode of convulsion at the age of 1 year, but, later, she had experienced no such episode and complaints in the past. After going through her case history in detail, Dr. Shah prescribed the research-based medicine to the patient. The patient visited for her first follow-up on 22nd May 2018, during which she reported a significant improvement of 75% in her recovery from the complaints of Urticaria. She was advised to continue with the treatment. Later, when she reported on 19th July 2018 for a follow-up, she had experienced 100% relief from her complaints of Urticaria. When she reported on 27th September 2018, she was experiencing a 100% relief in her complaints of Urticaria. She had not experienced an episode of urticaria in the last 4 months and had got cured of the condition. Now, she could eat cheese without getting affected by urticaria. This case highlights that homeopathy is highly effective in treating and curing conditions like urticaria successfully and safely without any side-effects. Homeopathy offers prominent positive results by treating diseases like Urticaria in a very short time.